We hosted 178 guests (including 14 new ones) at our busy community center yesterday. Chef Melody and her team of over 50 volunteers made hearty chicken soup, vegetables, salads and sweets. We had a group of young volunteers from a community-based music recording program that incorporates community volunteering. Music was definitely in the air at the center. Our clients were treated to a visit by world-class flautist Jean Ferrandis from France. After a brief recital, Mr. Ferrandis moved about the dining room and chatted with clients at their tables and improvised personalized solos incorporating clients’ names and an extended musical alphabet. Nearly 20 current and new clients came to my office to discuss their situations. Many needed bus passes to help them get to and from their medical and other appointments. We also helped a client by paying a portion of his phone bill. Our cell phone representative was on-site to help clients secure cell phones. Utilizing funds provided by the Long Beach Community Foundation, we placed a mother and her four children (two in photo), ages 6 to 17, in a motel for several days in order to ensure that the mother meet with our staff and Lutheran Social Services to determine eligibility for housing assistance. For years, this family has been relying on their limited government funds and help from relatives to piecemeal together motel stays and were in various stages of instability. Long Beach Community Foundation funds were also used to help pay part of the rent due for a mother and her two children. Without this assistance, this family would have been forced to vacate their apartment because they had already received a written notice stating they could not miss any more payments. 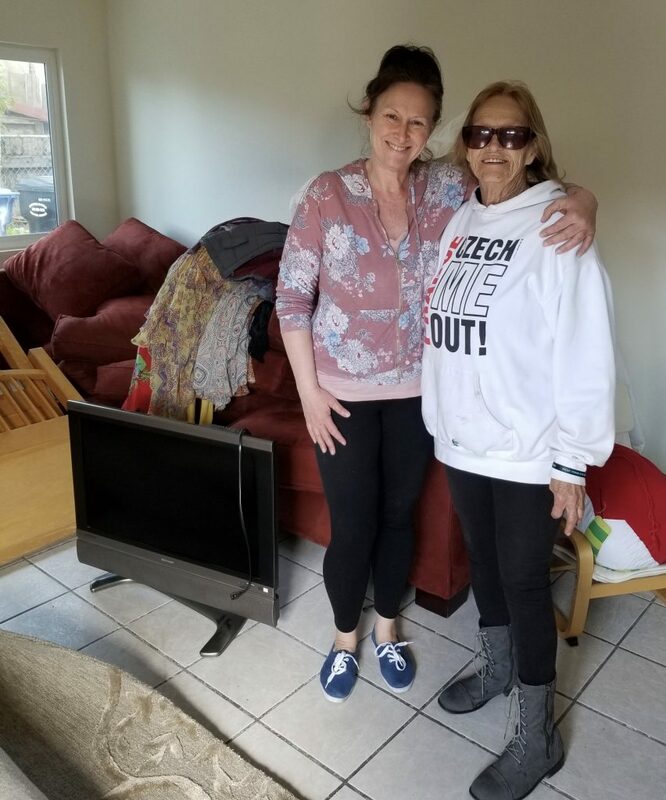 One of our clients who recently moved into her apartment was the lucky recipient of a new mattress and box spring care of Justin Rudd’s Community Action Team’s 12th Annual Long Beach Giving Project. Our Board member John Forrest Douglas and the members of his Giving Team selected our client as their “give” recipient. Our client was very grateful for the mattress and box spring that she received yesterday. Staff continue to work with our clients to secure permanent housing. As part of this process, one client requested assistance with her Edison turn-on fees in order for her unit to be ready for inspection by the housing authority. Without our timely financial assistance, this client’s apartment approval process would have been indefinitely delayed. 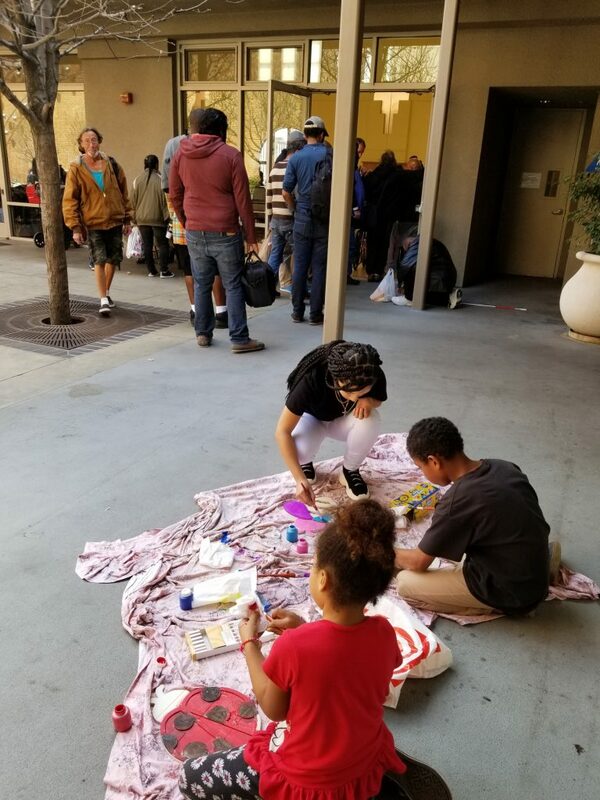 We also helped a woman, her two young children (ages 4 and 8) and elderly mother move from a shelter into their apartment (see photo). This family had been homeless living in motels, car and shelter for about a year. We received beds and other goods from The Estate Sisters for this family.